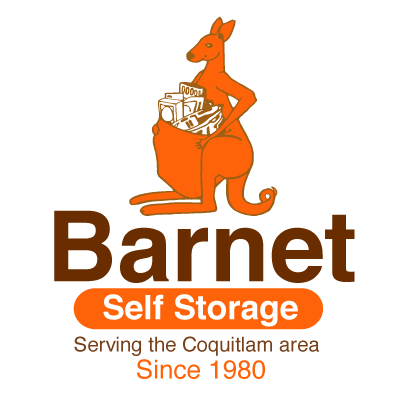 A space for your furniture, a space for your decor, a space for your boxes of books, whatever your needs, Barnet Self Storage is more than an extra space to store your belongings. It’s an extension of your garage, your attic, your home. Use our clean and bright facility to store your belongings during your renovation. Store your household goods while you’re downsizing or moving or consider us for longer-term personal storage to truly expand your home’s space. It’s up to you. We make storage easy and hassle-free. Common sense and government laws determine what may be stored in Self Storage facilities. Please read the following Self Storage FAQs to ensure that you, your belongings and your fellow customers are safe at all times. If you have any questions, our storage specialists will be happy to help. Cash or securities, coins, precious stones, jewellery, antiques or fine art unless specifically agreed with us in writing, in advance of storing such goods in the unit. Waste or other items that do emit or could emit any fumes, smell or odour. Q. What is the minimum rental period for storing items? The minimum rental period is one month and you can stay on a month-to-month basis for as long as you need the space. We ask you to provide us with at least 7 days notice prior to your monthly due date if you intend to vacate your unit. Once your unit is empty, you must inform the office staff so that a unit inspection can be conducted. Q. Do you require a security deposit to rent a unit? Yes. We do charge a small security deposit fee refundable after inspection of the unit upon moving out. Unlike our competitors, our rates are for the full calendar month (up to 31 days), not for just four weeks (28 days). This provides you with an instant savings of approximately eight per cent per year. For example, if your commencement date was January 5th, then your rental payment would be prorated for those days and you next rent due will be the 1st of the following month. Q. Do I have to pay a fee to access the contents of my unit? No. As long as you pay your rent on time, there is no charge to access your belongings for any reason, as many times as you like, during our access hours. Q. Can I take a look at my storage unit before moving in? Absolutely! We encourage you to drop by and take a tour of our facility. Our friendly staff will be happy to show you our facility as well as the actual unit that you would be renting. Q. What if I rent the wrong unit size? Our experienced staff will be happy to help you determine the right storage unit size for your particular needs. We will even show you different sizes to help you visualize the available space. If you realize that you need more or less space during or after a move, you can simply change to a new unit size, at the new rental rate, with no change fee. Q. How much notice do you need before I move in? Q. Can I reserve a unit? Yes. We can reserve a unit for you for up to three days (subject to availability of that unit type and size). You can call us, send us an email or click here to Reserve! Your rent is due monthly, starting on the 1st of each month. You can pay with cash, cheque, debit card or credit card. You can also set-up automatic billing to your credit card. For qualified business clients, we may also accept post-dated cheques after the first month (some conditions apply). Q. Do you sell packing supplies? Yes. We carry a wide selection of high-quality cardboard boxes, locks, plastic covers, tape guns, and other helpful packing supplies. Q. Can I return unused items? Yes. Simply return any unused items in new condition, accompanied by the receipt, within seven days of your purchase. Q. Do I have to purchase a lock from you? No. The choice is yours. We carry high-quality locks specifically designed for the Self Storage industry; however, you may also use your own high-quality lock. Either way, you are the only key holder. Q. Can you help me move into my storage unit? Our staff cannot help you move your belongings into your locker, but they can provide you with valuable information on how to best organize the space. We also provide the free use of custom dollies designed to handle heavy loads, so fewer trips to your locker will be needed. Q. Will my things be safe? Our facility is equipped with 24-hour digital video recording and a monitored access gate. Q. What do I need to bring before moving in? Your personal contact information including email address, as well as the name, address and telephone number of one alternative contact who does not live with you. A keyed padlock. If you don’t have one, do not worry. We have a very good selection high quality, reasonably priced locks available for purchase in our store. Your first payment (we accept cash, cheque, all major credit cards and debit cards). Business customers will also need to bring one piece of company identification and the name, address and telephone number of one alternative contact in your company. To complete rental documents, please arrive at least 45 minutes prior to the store’s closing. Take a moment to review these Self Storage FAQs as they should answer many of your questions. Q. Can I transfer to another unit if I find I have too much or too little space? Absolutely! If you wish to pay your bill, but do not have enough time to drop by our store during regular office hours, please visit our website and begin this quick and simple process by clicking on the Pay Online button. If you are an existing user, you will receive a prompt to enter your username and password. If you are a first-time user, you must click the “Create Account” button and complete the mandatory fields. If you have any other questions that are not covered in these Self Storage FAQs, please feel free to ask one of our knowledgeable staff.